Hence, it is but a must for you to protect your device and the data it holds because more hackers are now eyeing your computer for a different purpose: cryptocurrency mining. This is one industry that is also fast-rising. Who would’ve even thought that one BTC will be equivalent to almost $10,000? Now, aren’t just after stealing your data or identity anymore but the literal computing power your computer has. Let’s face it, bitcoin mining takes a lot of computer power and miners don’t have all the resources to keep this vibrant digital industry moving at all times. Hence, miners got the wise idea of tapping other people’s computers to mine BTCs or other cryptocurrencies for them without the owners themselves knowing about it. Yes, it is happening right now and affects an alarmingly large number of computer users. As if you didn’t already have enough to worry about, there’s this: Your computer may be mining for bitcoin without your permission or knowledge. If this information makes you scratch your head and think how none of that makes sense, you are not alone. Research shows that instances where computers of random people are hijacked to mine for bitcoins without their permission or knowledge is on the upswing. McAfee Labs released its annual Threats Report this week that crypto-currency mining is a new strategy for cyber-criminals. Here’s how this works: Bitcoins are ‘mined’ using super-computers that work to solve nearly impossible math equations. This takes an enormous amount of processing power. Computers built to mine crypto-currency cost in excess of $5,000. Cybercriminals and BTC miners have everything to gain here since they don’t waste any resources to mine for cryptocurrencies themselves but passing on the job to random people whose computers are already hacked unbeknownst to them. Now, how do they do it? You’ve heard of malware, right? They spell bad news and almost always require you to buy a new HDD along with facing some data recovery issues. https://www.harddriverecovery.org/blog/how-to-choose-a-hard-drive-recovery-service/ can help you make the decision fast so you can get your device working again as soon as possible. 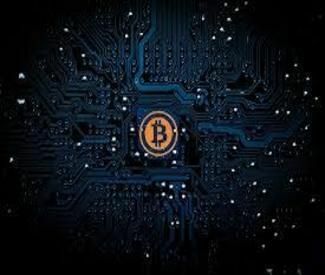 The increasing incidence of malware attacks as of late can be linked to BTC and alternative currency miners tapping on the computing power of people from here and there to run their cryptocurrency operation. Using your office computer for personal use is one thing, but what about installing a cryptocurrency miner? Well, some employees might be doing just that. In recent months, Microsoft has noticed a number of enterprise systems running coin mining software. One might think that hackers were behind the scheme, but Microsoft found that none of the systems were compromised. Instead, someone—likely an employee—decided to install a coin miner on the enterprise system and reap the rewards, the software giant said in a Tuesday blog post. In January, Microsoft noticed over 1,800 enterprise machines running legitimate, but potentially unwanted coin mining software, up from just a few hundred systems that Microsoft encountered in October. Now, not all cryptocurrency miners are pro hackers. You’d be surprised to find out that it can be your co-worker or someone you know but haven’t spoken to in the office. It is happening now. Cryptocurrency is being mined in offices even if the network has not been compromised, which only means one thing, it is an inside job. Employees have been inconspicuously installing coin miners as a side job to their legit one, which is actually very financially-rewarding these days and can tempt even the most conscientious worker. The downside here is that computers perform poorly as the mining of alternative currencies require excessive CPU power and drag down the entire network, thereby affecting everyone. Blocking helps but the problem is so huge, so we’ll likely see this happening for a while until a more stable and long-term solution can be found.